Around this time back in 1927 the Georgia Institute of Technology enrolled its most famous student: George P. Burdell. Who happened to be the creation of its SECOND most famous student. His name was William Edgar Smith. “Ed” for short. As an incoming freshman, he was accidentally mailed two student enrollment forms. Instead of throwing the extra one away, he decided to use it… to create a fictional student. Ed named his creation “George P. Burdell,” and he signed up the non-existent George for the same engineering classes Ed took. Every time there was an assignment? Ed did it it twice: once for himself… and once for George, with the language and handwriting slightly changed, so professors wouldn’t catch on. Ed even enlisted fellow students to shout, “Here!” when George’s name was mentioned during roll call. Thusly, Ed and his pals managed to convince the faculty George was a real person. For years. Culminating one glorious day in 1930, when Georgia Tech bestowed upon him a Bachelor of Science degree. When Ed revealed his prank to the shocked administration, it immediately became an undying campus legend. Students still try to enroll George P. Burdell for classes. In fact, on several occasions, they hacked Tech’s computers and signed him up for every class the school offered. And each year, the student body celebrates George’s birthday. On April 1st. The legend extends beyond campus, though. In World War II, George was listed as a member of the flight crew on a B-17 bomber. For 12 years, “MAD” magazine listed him as a member of their Board of Directors. 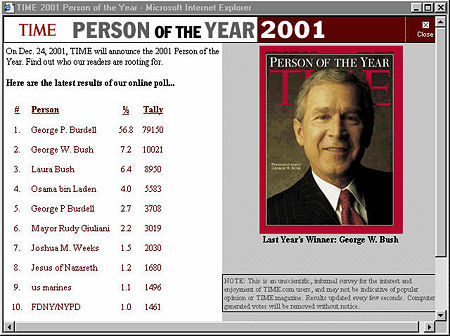 And in 2001, when Time magazine asked readers to suggest their “Person Of The Year?” George P. Burdell led the pack… until editors took him out of the running. Imagined by Molly Gunn, co-owner of The Porter Beer Bar in Atlanta, GA.
Pour beer and vodka in a chilled Pilsner glass so the two ingredients settle together. Add the blueberry syrup, let it disperse naturally, and sip. If an imaginary friend stops by to share, you’ve had too many. Mix water, sugar, blueberries together in saucepan. Whisk over low heat until sugar dissolves. Increase heat and boil gently ’til thick, about 15 minutes.